6 juniors and 3 parents train in torrential rain on the Queen's Birthday - we NEVER skimp on the warm up! 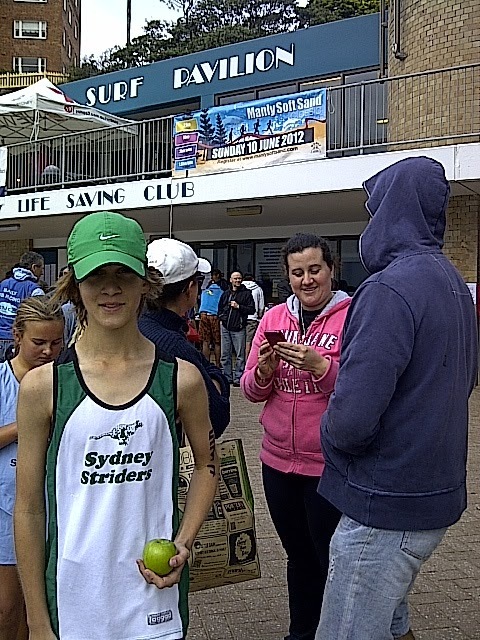 Declan aged 12 7th in the under 15s soft sand classic mile race at Manly. 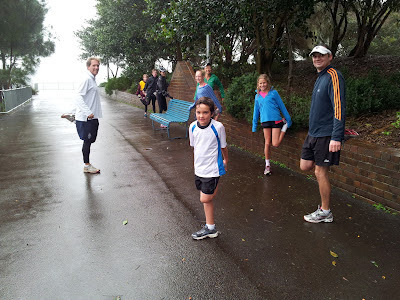 He's from the Blue Mountains - none of our Manly Juniors took part!!! 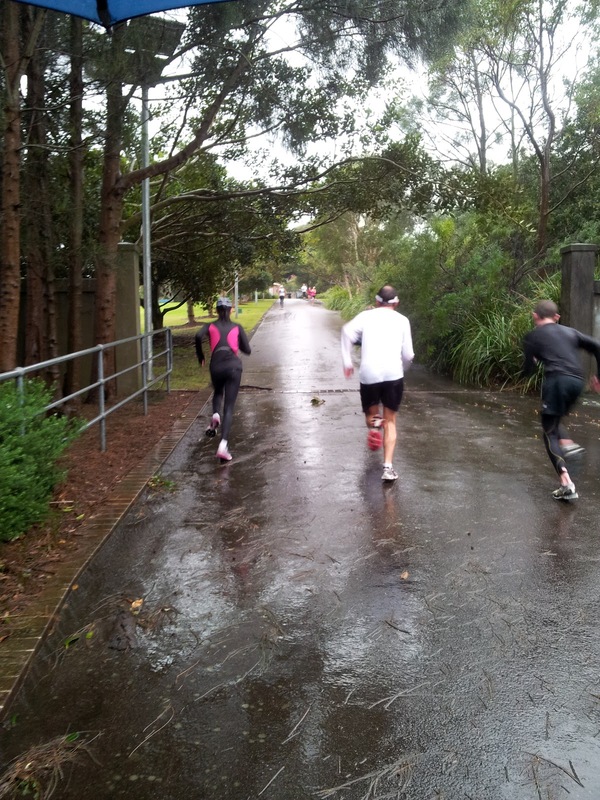 Queen's Birthday hill training in the rain - 10 minutes of continuous repetitions.